Reupholstering a wing chair is a good way to give it a new look. 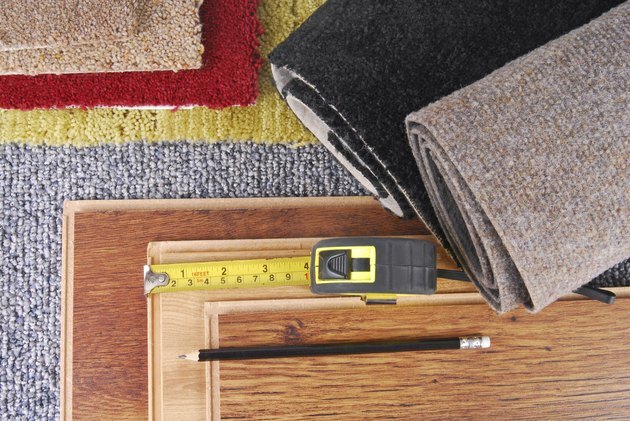 When collecting your tools and supplies for reupholstering you will need to decide how much fabric it will take to cover the entire chair. 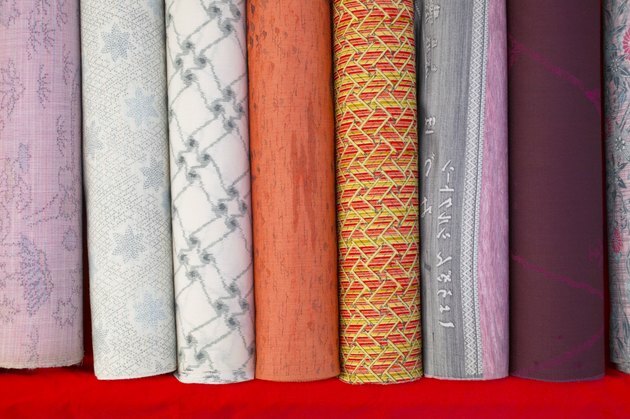 This will keep you from wasting money by buying too much fabric—or making a second trip to the fabric store to get more. This can be done with a simple evaluation of the chair and fabric width. Start by choosing your upholstery fabric and measure the width of the fabric on the bolt. 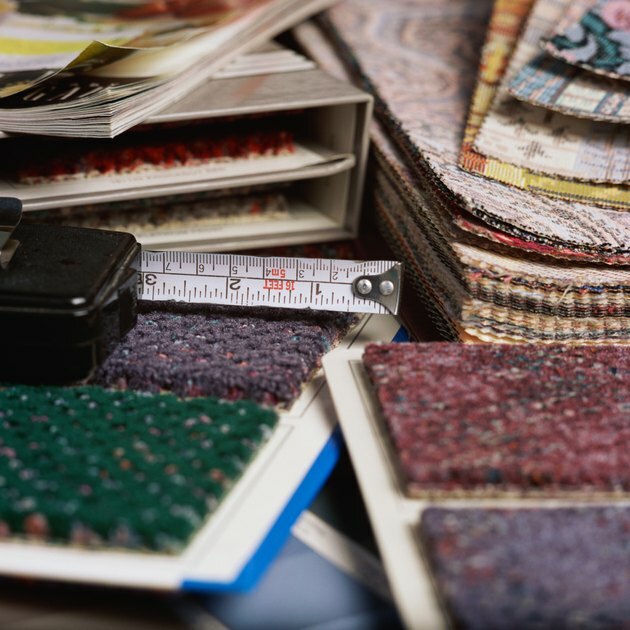 Most upholstery fabrics are 54 inches wide to 62 inches wide. Lay your pattern pieces side by side out on the floor so that they are no wider than your fabric bolt width. 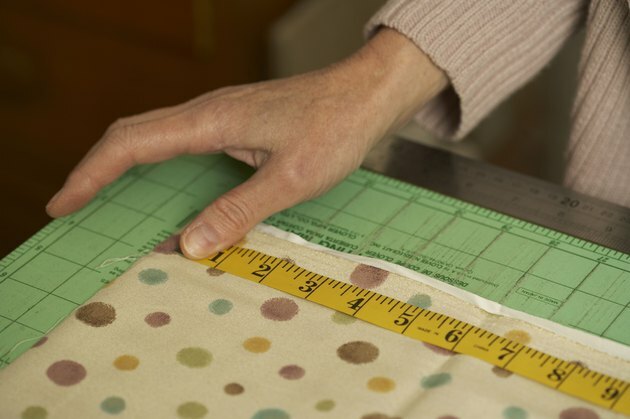 Measure, in inches, how long the pattern pieces are together when they are laid out in this way. Divide the number by 12 to convert the inches into feet and then divide this number by three to convert feet into yards. Add two yards to the total to account for piping fabric and extra trim. As with Step 1, first choose your upholstery fabric and measure the width of the fabric on the bolt. Measure each surface of the chair in height and width at the tallest and widest point in inches. For example, the back of the chair would be considered a surface. The arm of the chair would be considered a surface. The side of the chair would be considered a surface. You get the idea. Find the largest number in each of the measurements and add them together. For example, if your chair back was 40 inches by 30 inches, then 40 would be your largest number. Add 40 to the other measurements' largest numbers. The total number of inches will be your yardage. Divide the number by 12 to convert the inches into feet, then divide this number by three to convert the number into yards. If one of your larger numbers is wider than your bolt width, add an extra yard to your total. Add two yards to your total for piping and trim. If you hate measuring, use this rule of thumb: A wing chair will typically take around five to seven yards of fabric.